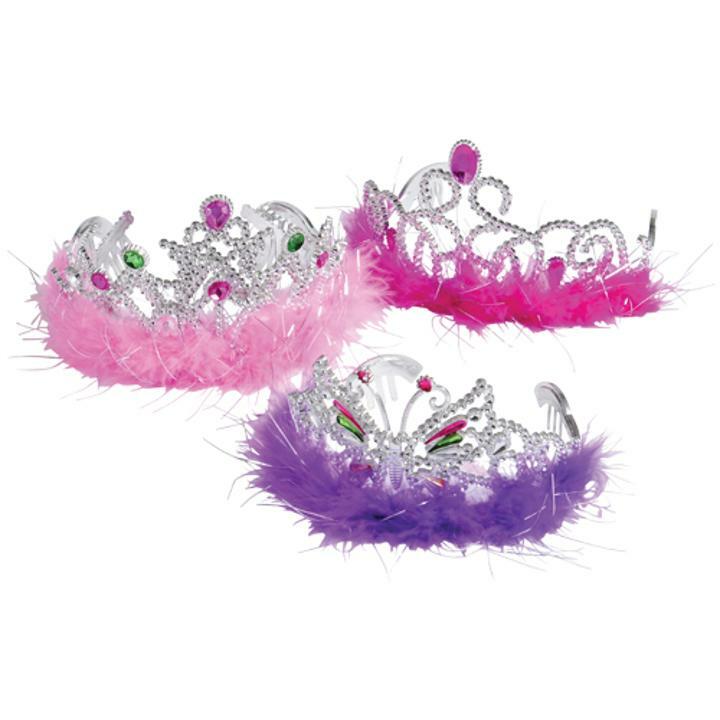 Cheap Tiaras W/Boa - 12 Ct.
What little princess doesn't love feathers? These feather boa tiaras will be sure to delight any princess. The perfect finishing touch to any princess costume. The economical price of these tiaras make them an affordable choice for party favors at your next Princess party. Stock up on all your Princess party needs at US Toy. We have the sparkle, bling, glitter, and of course the pink you need to make little princesses happy. With a wide selection of costume accessories and favors we have exactly what a princess needs. L: 9.0 in. W: 9.45 in. H: 6.1 in.